Fire brigades respond to more than 300 domestic electrical fires each year. Many of these fires are caused by old wiring that has degraded or is unable to cope with the demands of modern electrical equipment. In addition to the risk of fire, contact with degraded wiring can be fatal. If your house was built more than 30 years ago, the wiring should be checked. Find your local registered electrical contractors and licensed electrical inspectors on our Find a tradie listing, in your local newspaper or via the internet. 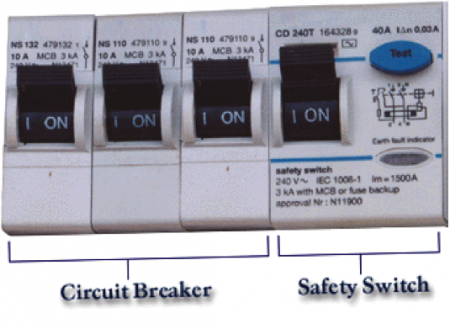 Safety switches are an additional form of protection to be used with circuit breakers and fuses. They may not protect all wiring and electrical appliances and will not prevent all electric shocks. Fuses and circuit breakers protect against short circuits and current overloads. It is important to understand the differences between these three devices. Monitor the flow of electricity through a circuit and detect a problem that may pose a risk to personal safety and turn the power off within 0.03 of a second,. Always have a test button and 30ma printed on them. They are also sometimes labelled with the words ‘safety switch’. Provide short-circuit and over current protection such as when a power point is overloaded. Protect the property from voltage surges such as those resulting from a lightning strike. 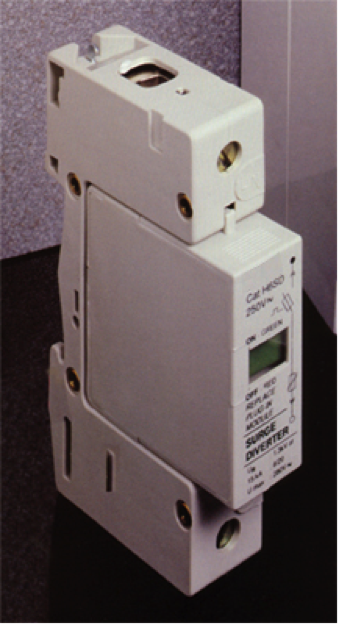 The surge diverter captures the voltage spikes in the wiring that would otherwise be transferred into the equipment within the property. If you are unsure if a safety switch is installed at your property, contact a registered electrical contractor – Find a Tradie. If you have any queries in relation to electrical safety around the home or safety switches, surge diverters and circuit breakers please contact ESV on (03) 9203 9700 or at info@energysafe.vic.gov.au.